Why it is that God must become flesh to do the work of judgment in the last days is a question with which many who thirst for truth and search for God’s appearance are chiefly concerned. It is also a question that relates to whether we can be raptured into the kingdom of heaven. So, it is very important to understand this aspect of the truth. Why is it that God has to incarnate Himself to do His work of judgment in the last days instead of using man to do His work? This is determined by the nature of the work of judgment. Because the work of judgment is God’s expression of the truth and expression of His righteous disposition to conquer, purify, and save mankind. God’s work of judgment in the last days consists of expressing many aspects of the truth, expressing God’s disposition, all that God has and is, revealing all the mysteries, judging man’s God-resisting and God-betraying satanic nature, exposing and dissecting corrupt man’s speech and behavior, and revealing God’s holy and righteous substance and unoffendable disposition to all of mankind. When God’s chosen undergo the judgment by God’s words, it is as if they are face to face with God, being exposed and judged by Him. When God judges man, He must allow us to see the manifestation of His righteous disposition, as if seeing God’s holy substance, as if seeing the great light cast down from the heavens, and to see God’s word is like a sharp double-edged sword thrusting into our heart and spirit, causing us to endure unspeakable torment. Only in this way can we come to recognize our own corrupt substance and the truth of our corruption, feel deep humiliation, hide our face in shame, and prostrate ourselves before God in true repentance, and then we will be able to accept the truth and live according to God’s word, thoroughly rid ourselves of Satan’s influence, and be saved and perfected by God. Such work as the judgment, purification, and salvation of man can only be done by God incarnate personally. Having experienced the judgment by Almighty God’s word, we have all felt how God’s holiness and righteous disposition are unoffendable by men. Every letter of God’s word is invested with majesty and wrath, each word strikes to the core of our hearts, thoroughly exposing our God-resisting and God-betraying satanic nature, as well as the elements of corrupt disposition buried so deep within our hearts that even we ourselves cannot see them, allowing us to recognize how our nature and substance is full of arrogance, self-righteousness, selfishness, and treachery, how we live according to these things, like living devils roaming the earth, possessing not even the slightest bit of humanity. God finds this abhorrent and detestable. We feel humiliated and wracked with regret. We see our own baseness and evil and know we don’t deserve to live before God, so we prostrate on the ground, willing to receive God’s salvation. In experiencing the judgment by Almighty God’s word, we truly witness the appearance of God. We see that God’s holiness is undefilable and His righteousness is unoffendable. We recognize the earnest intentions and true love with which God endeavors to save mankind and see the truth and substance of our corruption at the hands of Satan. Thus, in our hearts, we begin to feel reverence for God and happily accept the truth and obey God’s orchestrations and arrangements. In this way, our corrupt disposition is gradually cleansed. The changes we have attained today are a result of God’s incarnation to do the work of judgment. So, only when God’s incarnation expresses the truth, expresses God’s righteous disposition and all that He has and is to carry out the work of judgment, only then do we see the appearance of the true light, the appearance of God, and begin to have true knowledge of God. Only in this way can we be purified and saved. Apart from Christ, no man can do the work of judgment in the last days. From Almighty God’s word we clearly see that God’s work of judgment in the last days must be done through expressing truth, God’s righteous disposition, and God’s almightiness and wisdom to conquer, purify, and perfect man. God appears Himself to do this work of judgment in the last days. This work marks the beginning of one age and the end of another. This work must be done by God’s incarnation, no man can do this work in His stead. Why is it that many believe that God should use men to do all His work, instead of being incarnated to do the work Himself? This is unbelievable! Does mankind really welcome God’s coming? Why is it that there are always so many people wishing that God will use men to do His work? This is because men do work in accordance with their conceptions, they do things just how people think they ought to be done. So, most people easily worship man, hold man up on a pedestal and follow man. However, God’s way of working is never in keeping with man’s conceptions and imagination, He doesn’t do things as man thinks they ought to be done. So we have difficulty being compatible with God. God’s substance is the truth, the way, and the life. God’s disposition is holy, righteous and unoffendable. Corrupt man, however, has been thoroughly corrupted by Satan, and is full of satanic disposition; they have a hard time being compatible with God. So, we find it difficult to accept the work of God’s incarnation and are unwilling to study and observe, instead worshiping man and putting blind faith in his work, accepting and following it, as if it were God’s work. What is the problem here? You could say, mankind doesn’t have the slightest clue what it means to believe in God and experience His work, so, God’s work in the last days must be done through the expression of the truth by the incarnation to resolve all of corrupt mankind’s problems. As for some people’s question as to why God doesn’t use man to do His work of judgment in the last days, does this still require an answer? Man’s substance is man, man does not possess divine substance, so man is incapable of expressing the truth, expressing God’s disposition, all that God has and is, and cannot do the work of salvation of mankind. Not to mention, we humans have all been corrupted by Satan and have a sinful nature, so what qualification do we have to judge other men? Since filthy and corrupt man is incapable of purifying and saving himself, how does he expect to purify and save others? Corrupt man would only meet with disgrace because others were unwilling to accept their judgment. Only God is righteous and holy, and only God is the truth, the way, and the life. So, God’s work of judgment in the last days must be performed by His incarnation. No man is capable of such work, this is fact. Could we still not understand this? 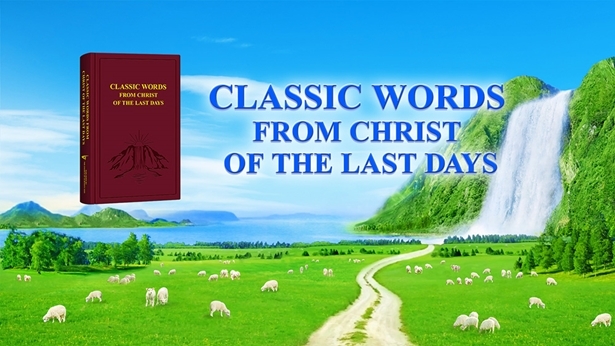 God’s work of judgment in the last days through incarnation is truly meaningful. God has been incarnated on earth in the last days, living amongst men and proclaiming His word to humankind, expressing His own disposition and all that He has and is to the masses. Who God loves and who God detests, toward whom God’s fury is directed, whom He punishes, His emotional state, His demands of men, His intention for men, man’s ideal outlook on life, values, etc., He informs us of all these things, allowing us to have clear goals in life so that we needn’t cast about aimlessly in vague religious pursuit. The appearance of God’s incarnation has thoroughly concluded the age when “only the back of Jehovah appeared to mankind,” and has concluded the age of man’s belief in the vague God. All those who have gone through Almighty God’s word and work in the last days have a common experience: Even though we have undergone God’s judgment and chastisement, have endured all manner of trials and refinements, and have been profoundly tormented by the brutal, savage pursuit and persecution of the great red dragon, we have seen God’s righteous disposition come upon us, we have seen God’s majesty and wrath and His almightiness and wisdom, we have seen the manifestation of all that God has and is, just as if we were seeing God Himself. Though we haven’t seen God’s spiritual body, God’s inherent disposition, His almightiness and wisdom, and all that He has and is, have been revealed to us in full, as if God had come before us, face-to-face, allowing us to truly know God and have a heart that fears God so that we may obey whatever plans God has for us until death. We all feel that in God’s word and work we see and know God in a practical and real way, and have thoroughly cast off all conceptions and illusions and become ones truly knowing God. Before, we thought of God’s disposition as loving and compassionate, believing God would continually pardon and forgive the sins of man. But after having gone through the judgment of Almighty God’s word, we have come to truly understand that God’s disposition is not only compassionate and loving, it is also righteous, majestic, and wrathful. Anyone who offends His disposition will be punished. Thus, we can revere God, accept the truth and live by God’s word. Through experiencing Almighty God’s work of judgment in the last days, we have all really and practically come to understand that God’s disposition is holy, righteous, and unoffendable, have experienced God’s compassion and love, truly come to appreciate God’s almightiness and wisdom, recognized how God humbly hides Himself, and come to know His earnest intentions and many lovable qualities: His emotional state, His faithfulness, His beauty and goodness, His authority, sovereignty, His scrutiny of everything, etc. All that God has and is has appeared before us, as if seeing God Himself, allowing us to know God face-to-face. We no longer believe in and follow God based upon our conceptions and illusions, but feel true reverence and adoration for God, and truly obey and rely upon God. We have really recognized that if God hadn’t been personally incarnated in the flesh to express the truth and do the work of judgment, we never would know God, and would be incapable of ridding ourselves of sin and attaining sanctity. So no matter how you look at it, God’s work of judgment in the last days must be done by God incarnate Himself, no one can stand in His stead. Given man’s conceptions and illusions, if God were to use man to do the work of judgment in the last days, He wouldn’t be able to achieve the desired effect. Previous：Question 3: Why has God been incarnated in the last days, becoming the Son of man to do the work of judgment? What is the real difference between the spiritual body of the Lord Jesus being resurrected from death and the Son of man incarnate? This is an issue we don’t understand—please share fellowship on this. Next：Question 5: Why is it said that corrupt mankind must be saved by God incarnate? This is something that most people don’t understand—please share fellowship on this.